Assassin’s Creed Odyssey is a huge, sprawling action-adventure that will eat up hours of your life to complete. Once you’ve beaten the main storyline it may seem like your journey is over, but it’s not. There are a number of high ranking activities to undertake. To help you figure out what you should be doing, here’s 5 things to do after beating Assassin’s Creed Odyssey. 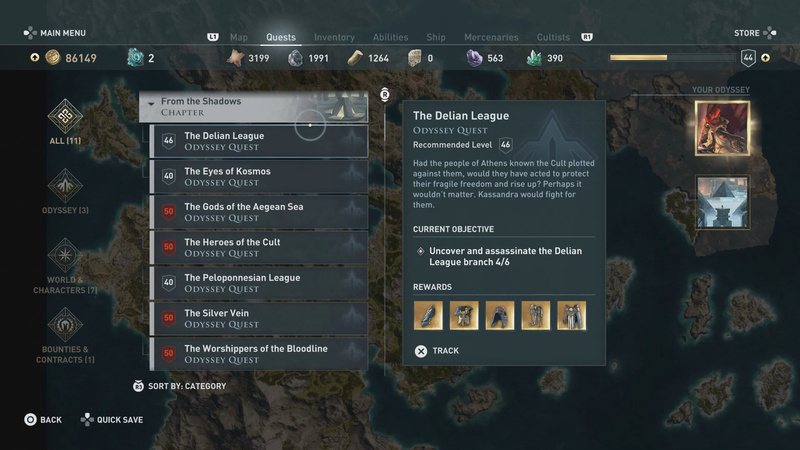 There are a number of achievements that are unlockable after beating Assassin’s Creed Odyssey. 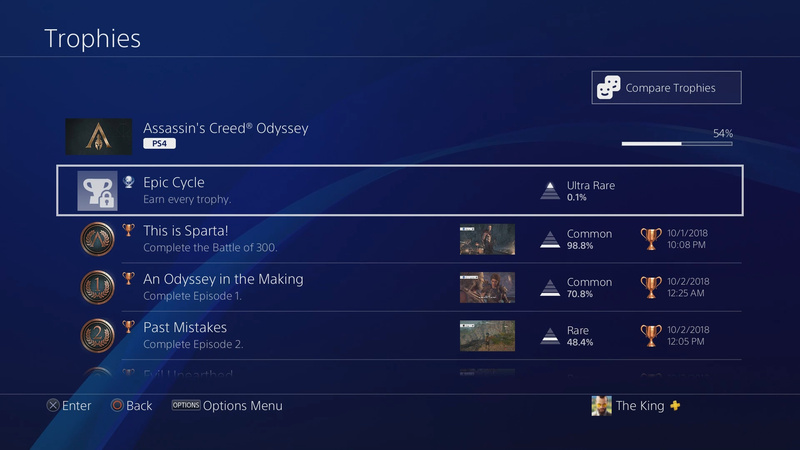 Assassin’s Creed Odyssey features a wide range of Trophies/Achievements for you to collect. Not all of these Achievements/Trophies are unlocked by simply beating the main storyline. You will need to complete a number of side quests, uncover locations, defeat enemies with certain weapons, and so on. Some of the Achievements/Trophies can only be unlocked once you’ve beaten the game, so dive right in if that’s your thing. For a full list of achievements, check out Xbox Achievements list of them here. Cleaning up your side quest list is something you should do after finishing the main story. If you’re like me, you finished ACO with a laundry list of still available side quests. These side quests remain available after you’ve completed the main game and can be completed during the end game. Many of these side quests features some interesting stories and rewards for completing them. Things like the Atlantis story arc and the Arena feature some tough level 50 enemies, so you will basically need a fully decked out character to complete them. The Daughters of Artemis Hunts. Taking out Cultists are one of the end game activities you can take part in. There are a number of high-value targets called Cultists which can be hunted for Legendary gear. This Legendary gear ranges from complete gear sets to awesome weapons (I love the Hades’s Bow). The major issue is that many of the targets are high-level, meaning you will need to be seriously levelled and geared to take them out. While there is some difficulty attached to finding many of the 44 Cultists you need to kill, the rewards are definitely worth the trouble. In the upper right corner of your map you will find a number of high level areas. 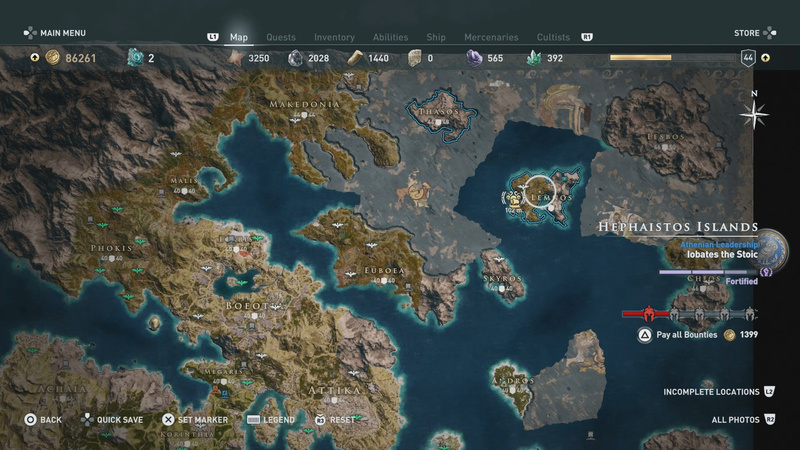 There are a number of high level islands in Greece which you won’t even touch during the main storyline. These islands feature their own quests and locations which should definitely be explored. If you’re feeling bold, head to any of these islands and explore them. You never know what you may find. Did you make it to end game while riding around on a plain old Phobos? Want it to look different, like say a Unicorn? Well you’re in luck. If you’ve beaten the game and have a ton of Drachmae, start spending it on Phobos skins. You won’t regret it. The more you spend on Phobos skins at the various Blacksmiths around the map, the rarer the skins that unlock. You’ll want the unicorn skin. I promise you that. 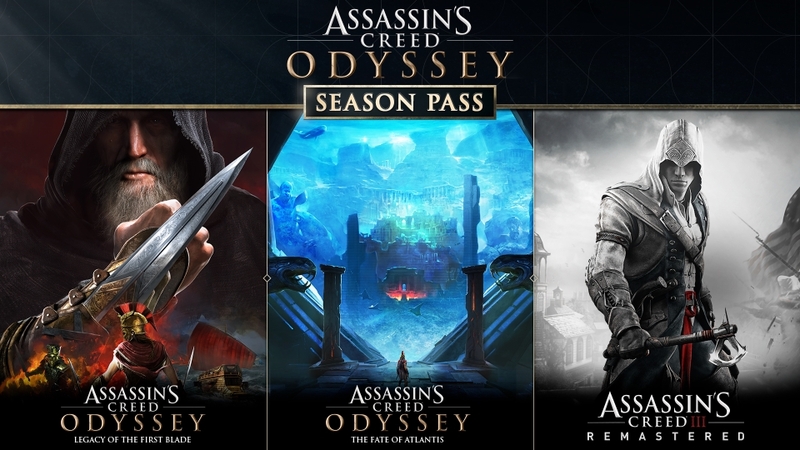 There are currently two story DLCs planned for ACO. If you’ve read everything in this list and are like “but I’ve already done all of this.” Congratulations, you are one of the 0.1% that have platinumed Assassin’s Creed Odyssey. There literally isn’t anything left for you to do but wait until new DLC content hits. 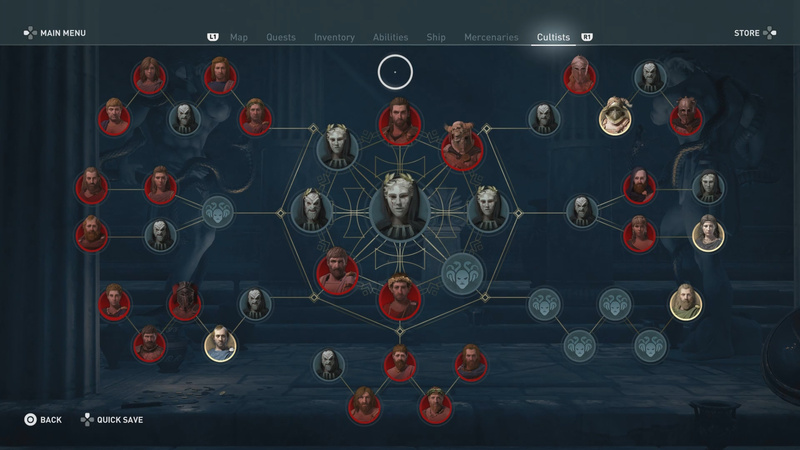 Luckily, Ubisoft currently has two content packs planned called “Legacy of the First Blade” and “The Fate of Atlantis”. The first pack “Legacy of the First Blade” will begin rolling out in December 2018. While you wait you might have to play other games like, I dunno, Red Dead Redemption 2. 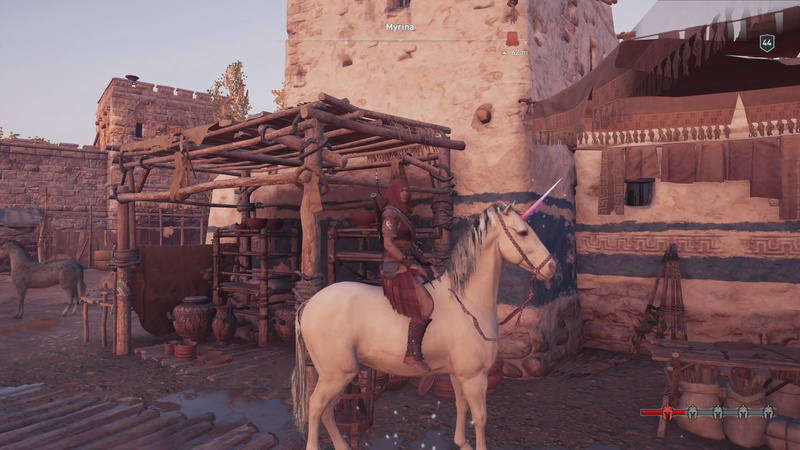 Thoughts on these 5 things to do after beating Assassin’s Creed Odyssey? Let me hear them in The Pit below. *proofread would be the correction.